To check our actual offers in Edinburgh, please use the white form above. Just enter the desired dates, time and pick-up/return location. The most recent car booking in Edinburgh has been made on our website 4222 minutes ago.. 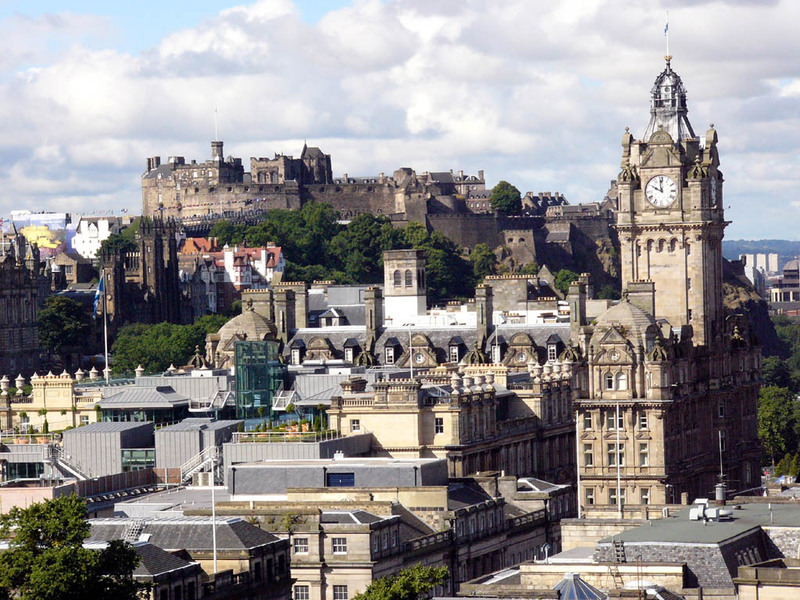 In Edinburgh, we offer for rental 7+ car categories from 14+ rental suppliers. With OrangeSmile, an early booking is the best way to save on rental costs, since our car rental rates in Edinburgh increase with approaching pick-up date. While our confirmation arrives just in 5-20 minutes, we advise to make your booking in Great Britain at least a few days before the desired rental date. Prior to making a booking, carefully read the rental conditions for the selected car in Edinburgh. Knowing the actual conditions helps to avoid surprises at the rental desk. Make sure that you know at which exact location in Edinburgh the car should be picked up - for this, check the address in your voucher. In some cases, rental companies in Great Britain meet their clients in a pre-defined spot (e.g. fuel station). However, commonly you should just register at the front office. Valid credit cards are accepted for payment by every rental office in Edinburgh. In general, car rental companies in Great Britain do not accept cash, debit cards and e-cards (VISA ELECTRON). The documents provided to you in Edinburgh by the rental officer should be carefully inspected. Check the car type, payment amount, taxes, included services and Great Britain border crossing conditions. In case of inconsistencies and problems detected, call us by the number specified in the rental voucher. 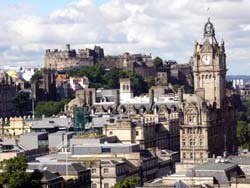 We, at OrangeSmile.com, wish you a fantastic time and experience in Edinburgh! The Edinburgh Castle. The Edinburgh Castle is the most popular place of interest; it seems that the castle just hovers over the center of Edinburgh. If you use the drawbridge and go inside the castle, you will see the well-known Stone of Fortune, a sacred Scottish relic. Many years ago English and Scottish monarchs were crowned here. From the castle one can enjoy a wonderful view of the whole city. Every day, except for Sundays, on 1 p.m. you can hear the shoot of the castle alarm-gun. The Edinburgh Castle is often used as the location of the Annual Festival of Army Orchestras. The Edinburgh Festival, which takes place on the New Year's Day, is a great way to see magnificent holiday fireworks. More than that, in Edinburgh tourists can see interesting performances dedicated to new adventures of Harry Potter.